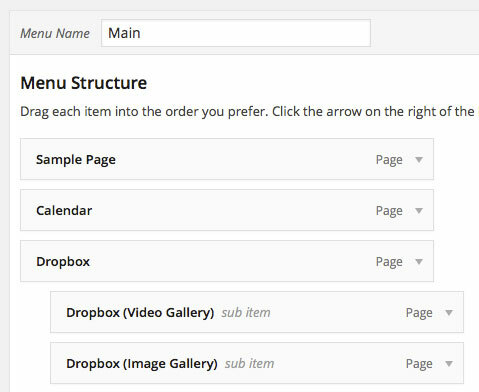 wp_nav_manu() displays a navigation menu. We can call different menu by assigning a different $menu. But the is no straightforward function to get only a submenu. For example, we may want to display a submenu on the sidebar for easier navigation. The following code snippet can do just that. Simply add a submenu in arguments for the function wp_nav_menu(), and pass the first-level menu item name that has the submenu we need for display. Add following code in function.php, or your own custom plugin. For instance, I would like to display submenu content from “Dropbox”.